This theme is named Musical, and you can get it for FREE from MyThemeShop. We picked it since it is beautiful and clean, and among users, it's very highly reviewed. The look is perfect for a nightclub or musical venue. The most significant features of Musical are: it supports Adsense, has many customization options, is SEO optimized, has a drag and drop builder, supports WooCommerce, offers multiple color choices, is skinable, integrates with social media, and includes multiple layouts. Included with Musical are icons, fonts, custom widgets, and demos. Musical is popular with a large user base, so it is easy to find help and support, even though it's not available from the makers (since the theme is free). 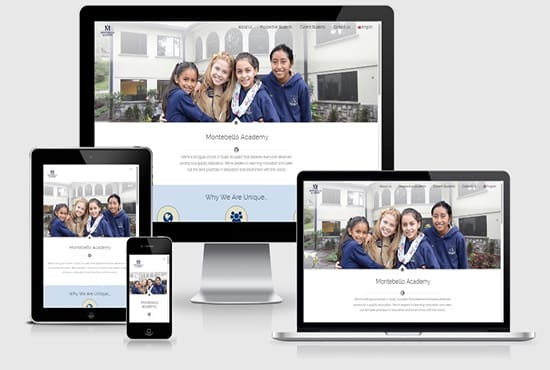 This theme is responsive and mobile friendly. The drawback of Musical is that it is too widely used, and therefore, your site may look a lot like others in the nightclub niche. Nevertheless, this theme is an attractive option for your website. Music is a our favorite theme in this roundup, due to its gorgeous looks and infinite layout possibilities. 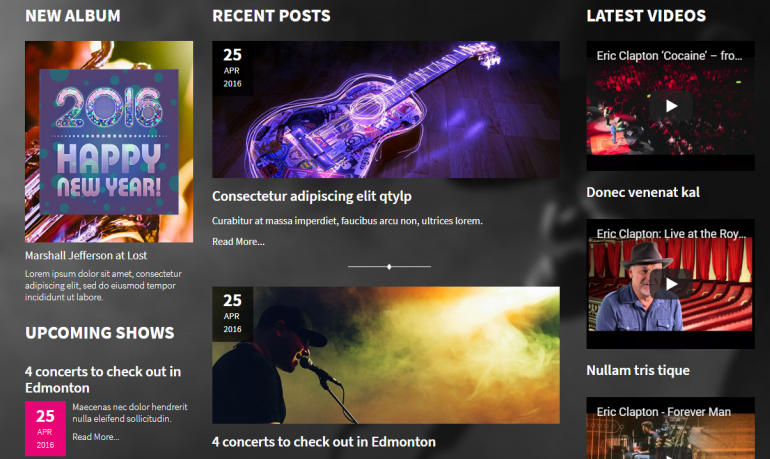 Made by Themify, Music includes everything you need for your nightclub website. It has a beautiful front page, and sections for events, videos, social, and photo galleries. The theme includes plugins, has many customization options, is SEO optimized, has map integration, has a drag and drop builder, offers multiple color choices, offers free suppport, and includes multiple layouts. Music offers a scrolling single page design (as well as a standard design -- you can select which one you want), so it appears especially cutting-edget. This theme is easy to install and easy to use. Some of the things that come with this theme are icons, background images, fonts, custom widgets, AJAX functionality, Retina images, and demos. Although it is not free, we love this theme due to the fact that it is amazing, and among users, it's very highly reviewed. We're certain it'll look really good on your site. This theme is titled Event, and it's sold by Themify. We love this theme because it is stylish and has all of the functionality you need for a nightclub website. 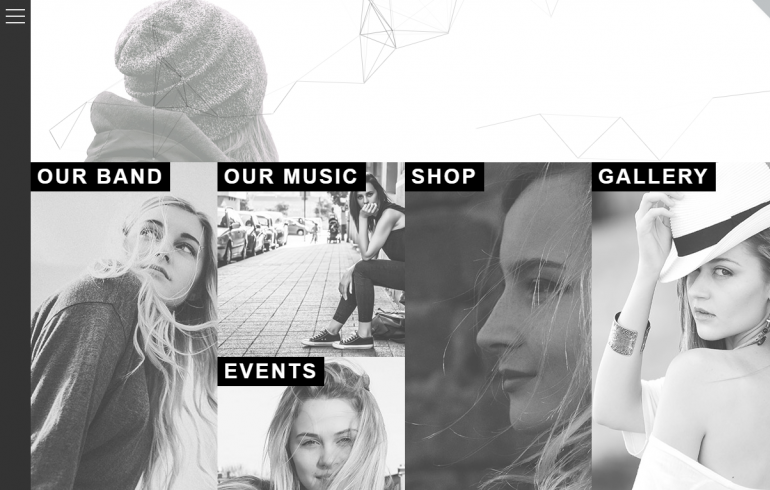 Event has many customization options, is SEO optimized, has a drag and drop builder, offers multiple color choices, offers free suppport, and includes multiple layouts. Additional stuff included with Event are icons, background images, fonts, custom widgets, AJAX functionality, and Retina images. This theme is a breeze to configure although it could take some time to learn. Event is mobile friendly and responsive. The drawbacks of Event are that it is not free, and has many options, possibly making configuration complicated. 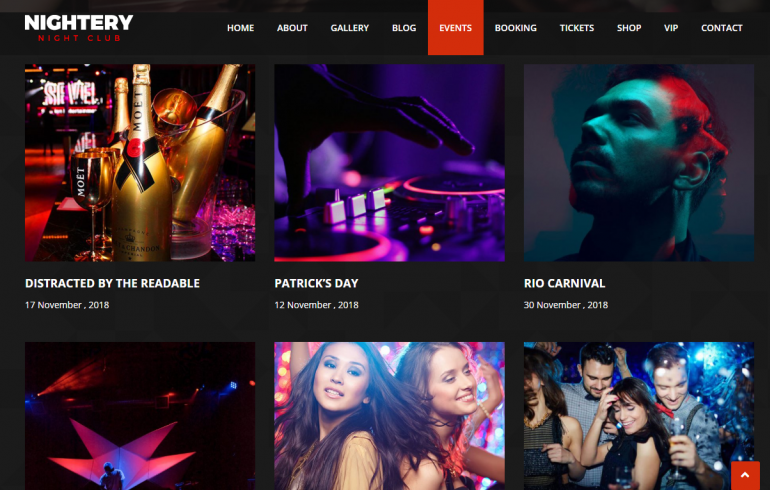 Nevertheless, this theme will make youre nightclub site perfect. 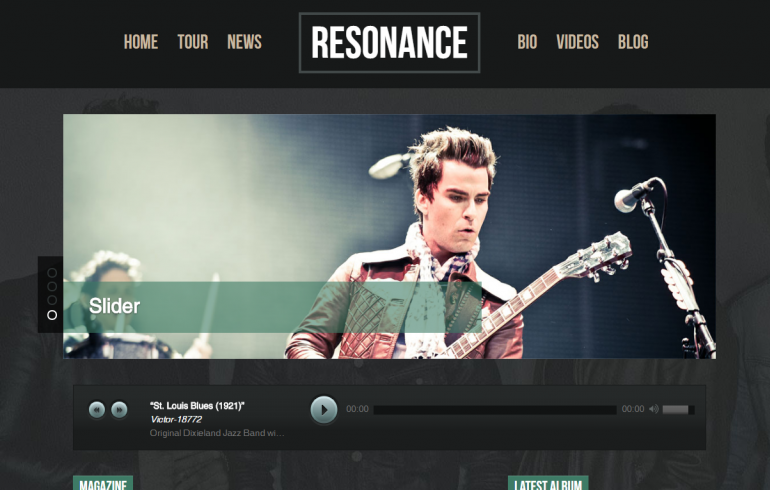 Resonance Pro is an excellent theme by CyberChimps that was originally designed for bands, but works great for nightclubs. It may be the easiest to install and use of all of the themes here. In addition to being stylish, Resonance Pro is one of our favorite themes because it has many customization options including multiple types of menus and elements, has a drag and drop builder, is skinable, integrates with social media, and offers free suppport. This theme is simple to configure and easy to use. Included with Resonance Pro are icons, background images, fonts, custom widgets, and Retina images. Resonance Pro is mobile friendly and looks great on iPads. Although it is not free, we love Resonance Pro due to the fact that it is great looking and easy to use. We're certain it'll be a great complement to your website. This theme is Strings from CyberChimps, and it's another theme made for bands but works great for nightclubs. We picked Strings because it has everything a nightclub wants, including a great events section, photo galleries, a video widget, a shows widget, and a nice header slider. Some of the main features of Strings include: it is SEO optimized, has a 1-click install process, integrates with social media, and offers free suppport. Some of the things that come with Strings are icons, background images, fonts, a slider plugin, and Retina images. This theme is easy to install and painless to use. Strings is responsive, so it looks great on mobile and tablets. Kraj is a gorgeous theme designed for banks, but that works great for clubs. Kraj is one of the best looking themes we've seen so far, combining cleanliness with a stylish look. It has everything you need for a club, including a gallery, an events calendar, a blog, and even a shop (if you sell merch). This theme is simple to install although it may take a bit to fully master. Some of the things that come with Kraj are icons, background images, fonts, custom widgets, and Retina images. Kraj is mobile friendly, using CSS3 and responsive design. Although it is may require additional plugins, we like this theme because it is visually stunning. We're certain it'll be a excellent addition to your website. This theme is titled Music Fan Board, and it is sold by TemplateMonster. It is a perfect theme for a nightclub looking for a more classic website. Among users, it's very highly reviewed. Top features of Music Fan Board include: it supports Adsense, has many customization options, is SEO optimized, offers multiple color choices, and integrates with social media. Additional stuff included with Music Fan Board are icons, background images, and fonts. This theme is easy to install although it may take some time to fully master. Music Fan Board is mobile friendly. It is also multilingual. The drawback of Music Fan Board is that it is not free. Nevertheless, this theme is an stylish option for your website. 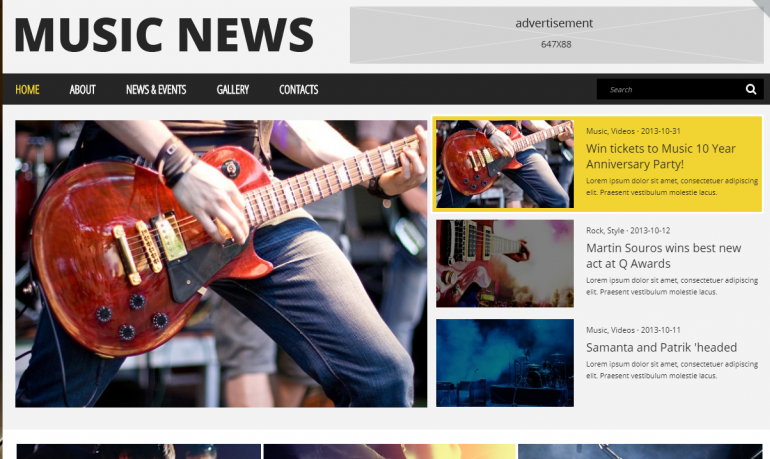 This theme is Music Club, and it's available from Themeforest. 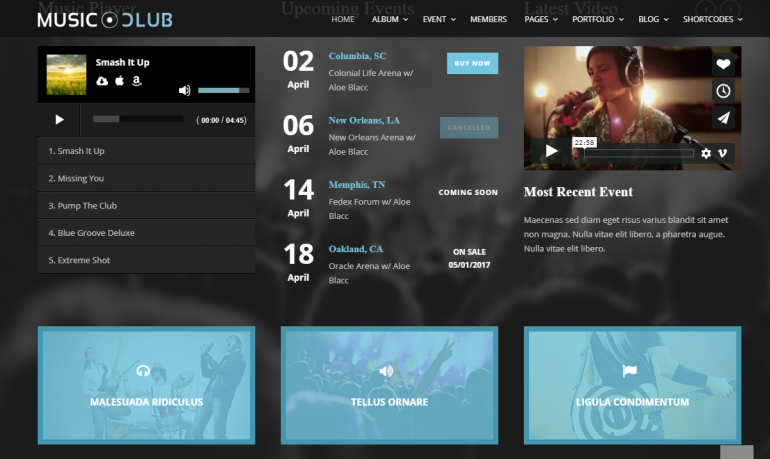 Music club can be used for a nightclub as well as a band or other musical organization. We chose Music Club for this roundup because its great event system, which even includes ticketing, as well as its nice layout. It is highly reviewed on Themeforest, and it includes: many customization options, a drag and drop builder, multiple color choices, free suppport, and multiple layouts. Included with Music Club are icons, background images, fonts, a slider plugin, and demos. This theme is easy to configure although it does take experience to fully master. Music Club enjoys a large user base, so it is easy to find help and support. Music Club is mobile friendly.. The drawbacks of Music Club are that it is has many options, making configuration complicated. 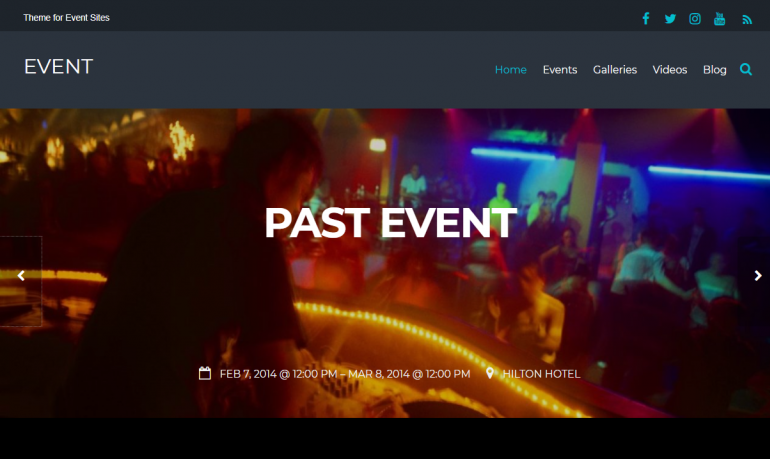 Nevertheless, this theme has everything you need for your nightclub site. 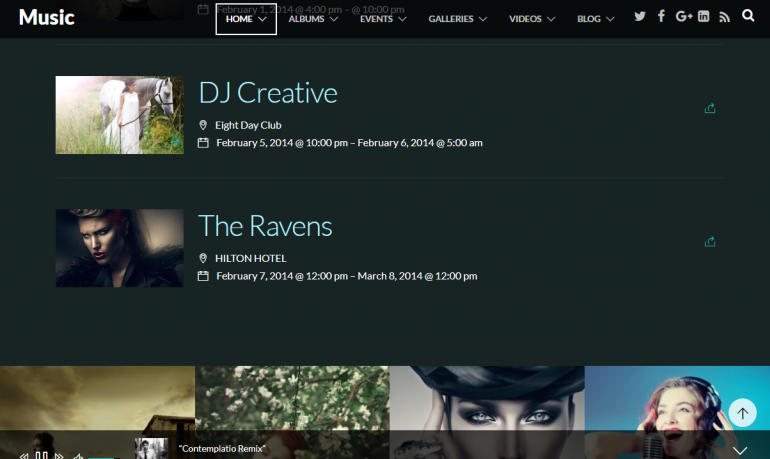 This theme is named Nightery, and it's designed specifically for clubs. We loved Nightery because it's highly reviewed and has all of the features you need for your nightclub site. Nightery includes an events system for setting up and displaying upcoming events, a gallery, a blog, e-commerce integration for ticketing, and much more. Some of the salient benefits of Nightery are: it supports Adsense, has many customization options, is SEO optimized, has a drag and drop builder, supports WooCommerce, has a 1-click install process, offers multiple color choices, offers free suppport, and includes multiple layouts. Included with Nightery are icons, background images, fonts, custom widgets, Retina images, and demos. Nightery has a large user base, so it is simple to obtain help and support. This theme is easy to set up and easy to use. Nightery is mobile friendly. It is also multilingual. The drawbacks of Nightery are that it is not free. 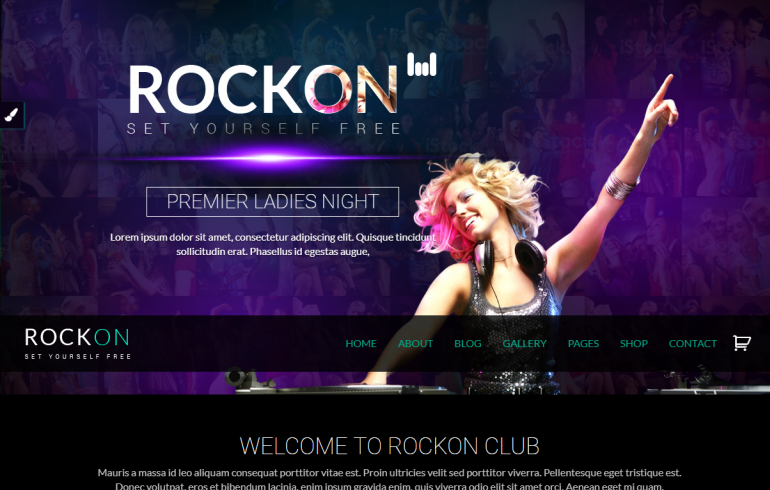 Rockon is a beautiful nightclub theme provided by Themeforest. It includes everything you need for a nightclub website, including a shop, events, a blog section, and a photo gallery. 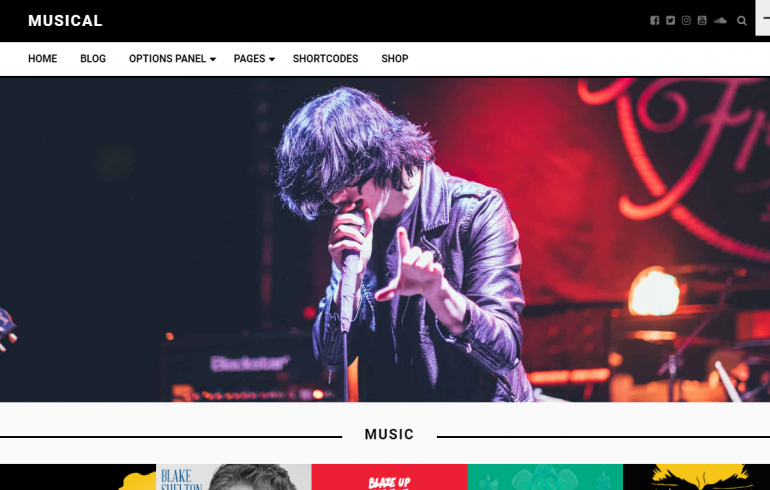 In addition to being good looking, Rockon has several customization options, is SEO optimized, has a top rated drag and drop page builder, supports WooCommerce, offers multiple color choices, offers free suppport, and includes multiple layouts. This theme is a breeze to install and painless to use. It enjoys a large user base, so it is simple to get help and support. Some of the goodies that come with Rockon are icons, background images, fonts, a slider plugin, custom widgets, AJAX functionality, Retina images, and demos. Although it is not free, we chose this theme due to the fact that it is pretty, and among users, it's very highly reviewed. We're certain it'll be a great complement to your website. Like one of the themes above, but don't think it's unique enough for your site? A top rated developer on Fiverr will customize your favorite theme to suit you (as well as upload content, install plugins, and more) starting at $50. This is a great option if you want something that doesn't look like other sites, but you don't want to spend a ton of money. It's also a great option if you need some custom functionality on your site that the themes above don't have. For example, do you need a band/performer login? Do you need built in ticket sales? Or something else? Given this developer's top ratings and quick turnaround, you're sure to get what you want.